1. Fix the problem of harmful application. 2 - The version becomes more than 3 months from the date of publication. 3. You can restore (delete) any message after it has been sent and it will be deleted from all the devices sent to it. 4. You can now disable automatic media upload for each conversation on a private basis (open any conversation profile and choose Automatic media download). 5. You can now put a case in writing. 6 - the possibility of watching and watching the live broadcast of some satellite channels (20 channels have been added temporarily and most of the world channels will be added in the next update, God willing). 7 - the possibility of placing video in the case of unlimited duration instead of 30 seconds (note only who uses and age is the one who can develop and watch unlimited video). 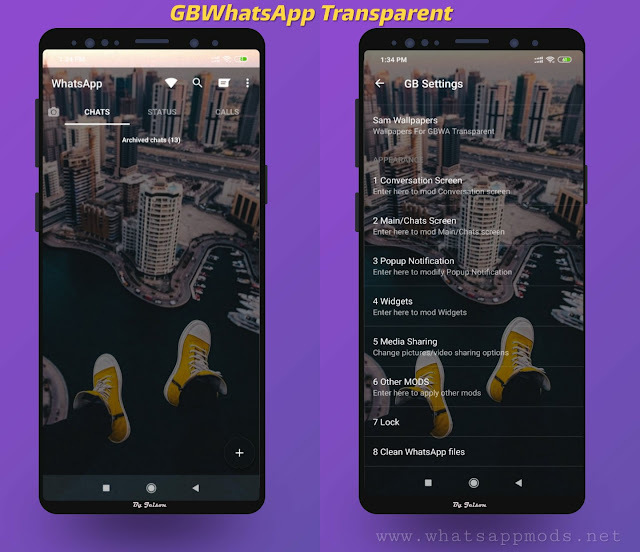 8 - Ability to send scheduled messages with the possibility to modify after scheduling (Write a message and set the date of sending the message will be sent automatically) Open the Watts then Options and a scheduled message. 9 - the possibility of changing the program line has been added 30 lines. 10. Add an option to disable the message counter on the program icon. 11. 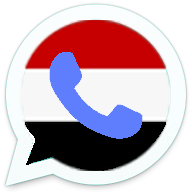 You can now send a message or call a number that is not saved in your device such as the application of the Viper (go to the Contacts section and press the floating button). 12. A backup of the talks will now be made daily at 2 am. 13. You can now select and send a group of videos at a time. 14 - Add the option to send pictures of original size and quality. 15. Possibility of selecting the video player. 16. Now when you receive or send multiple photos, they will be collected in an album. 17. Add a number option to choose the search engine for the animated images Giphy - Tenor. 18. New design of the call interface. You can now share programs and games from the file manager to the wattab. 20. You can now edit the images before sending them from the gallery. 21- Reforming the non-functioning of the Friends changes register. 22. Many other features you know yourself. 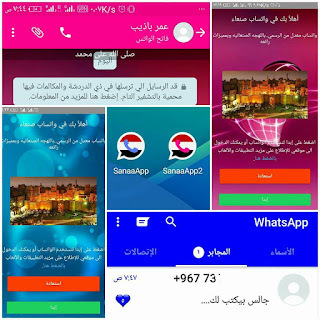 0 Response to "SANAAWhatsApp v6.00 Latest Version Blue & Pink Edition Download Now"